1 Aurora Eidolon 2,- Foil! 3 Beacon Hawk 2,- Foil! 5 Brace for Impact 3,- Foil! 8 Condemn 6,- Ikke på lager! 9 Freewind Equenaut 2,- Foil! 11 Haazda Exonerator 2,- Foil! 14 Paladin of Prahv 3,- Foil! 16 Proper Burial 10,- Ikke på lager! 17 Soulsworn Jury 2,- Foil! 18 Steeling Stance 2,- Foil! 19 Stoic Ephemera 3,- Foil! 20 Valor Made Real 2,- Foil! 23 Cytoplast Manipulator 38,- Ikke på lager! 24 Enigma Eidolon 2,- Foil! 26 Helium Squirter 2,- Foil! 28 Ocular Halo 2,- Foil! 34 Tidespout Tyrant 51,- Ikke på lager! 37 Writ of Passage 2,- Foil! 42 Demon's Jester 2,- Foil! 44 Enemy of the Guildpact 2,- Foil! 45 Entropic Eidolon 2,- Foil! 47 Macabre Waltz 2,- Foil! 48 Nettling Curse 2,- Foil! 52 Ratcatcher 18,- Ikke på lager! 53 Seal of Doom 2,- Foil! 54 Slaughterhouse Bouncer 2,- Foil! 55 Slithering Shade 3,- Foil! 57 Vesper Ghoul 2,- Foil! 59 Cackling Flames 2,- Foil! 62 Flaring Flame-Kin 4,- Foil! 63 Gnat Alley Creeper 4,- Foil! 64 Ignorant Bliss 4,- Foil! 65 Kill-Suit Cultist 2,- Foil! 66 Kindle the Carnage 4,- Foil! 67 Ogre Gatecrasher 2,- Foil! 70 Sandstorm Eidolon 2,- Foil! 72 Squealing Devil 4,- Foil! 73 Stalking Vengeance 9,- Ikke på lager! 75 Taste for Mayhem 2,- Foil! 76 Utvara Scalper 2,- Foil! 78 Weight of Spires 3,- Foil! 79 Whiptail Moloch 2,- Foil! 80 Aquastrand Spider 2,- Foil! 82 Cytospawn Shambler 2,- Foil! 84 Fertile Imagination 3,- Foil! 85 Flash Foliage 3,- Foil! 92 Simic Initiate 2,- Foil! 93 Simic Ragworm 2,- Foil! 94 Sporeback Troll 2,- Foil! 96 Stomp and Howl 4,- Foil! 97 Street Savvy 2,- Foil! 99 Utopia Sprawl 31,- Ikke på lager! 100 Verdant Eidolon 2,- Foil! 103 Assault Zeppelid 2,- Foil! 106 Azorius First-Wing 2,- Foil! 108 Azorius Ploy 4,- Foil! 109 Biomantic Mastery 9,- Foil! 113 Dread Slag 9,- Foil! 114 Experiment Kraj 20,- Ikke på lager! 122 Minister of Impediments 2,- Foil! 129 Plumes of Peace 2,- Foil! 135 Rakdos the Defiler 18,- Ikke på lager! 136 Riot Spikes 2,- Foil! 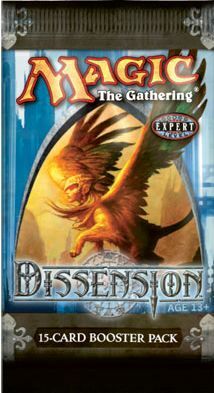 145 Vigean Intuition 3,- Foil! 159 Azorius Signet 8,- Ikke på lager! 162 Magewright's Stone 10,- Ikke på lager! 165 Rakdos Signet 4,- Ikke på lager! 171 Blood Crypt 114,- Ikke på lager! 172 Breeding Pool 125,- Ikke på lager! 173 Ghost Quarter 20,- Ikke på lager! 175 Novijen, Heart of Progress 6,- Ikke på lager! 180 Simic Growth Chamber 4,- Ikke på lager!